You may be unaware that The Sims 3 is out in June. But that's OK. You are not EA's intended audience. Those guys, well, those guys should by now be very aware. 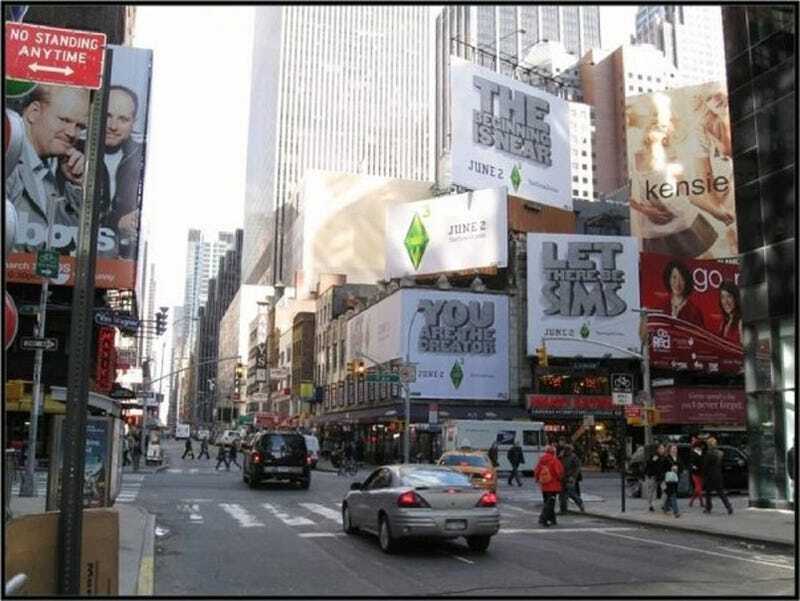 Because it would seem that Electronic Arts have been busy over the past couple of weeks covering what looks like every building in the continental United States with Sims 3 posters. With most other games EA put out last year contributing to the company losing a ton of money, we're getting the idea that it's hoped people will buy lots and lots of copies of Sims 3.